Welcome to the Actrix Online Informer for May 2014. 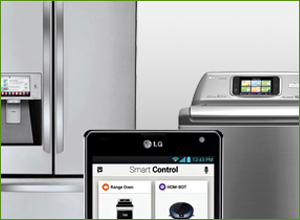 This month we take a look at some of the most exciting gadgets and gizmos that will feature in 2014. 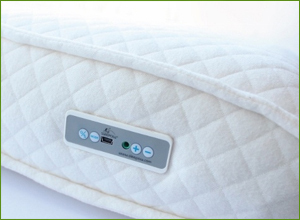 Fancy a watch that's a smartphone, or a music-playing mattress? Then this is the article for you! This month's YouTube feature is of dialect coach Andrew Jack who takes us on a tour of the British Isles, seamlessly changing his accent and explaining the different sounds as people talk and we move around the UK. As a child, when you lay awake at night wondering what the future would be like, did you imagine you'd ever see a world with the technology we currently have? Wireless broadband, smartphone technology and 3D printing are some of our society's most recent technological achievements, but what does the future hold? While we can't quite predict what things will be like in 100 or 1000 years, we can still look a little way into the future to see what the next year will bring in terms of technological advances. 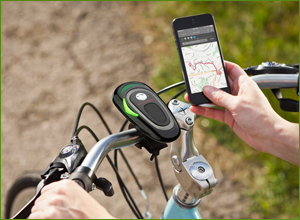 Here are some of the coolest gadgets and gizmos of 2014. The Socialmatic is an Android-based camera that fits in the palm of your hand and lets you print photos and stickers on the fly. It uses inkless printing technology, and even features a touch screen to let you edit your images before printing them. This concept was originally discussed back in 2012, but didn't receive much traction. 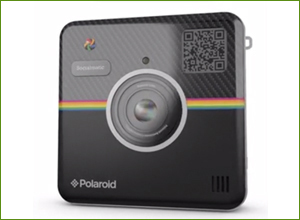 However, it's now been slated for release by the end of 2014, and could spark the revival of the Polaroid camera. 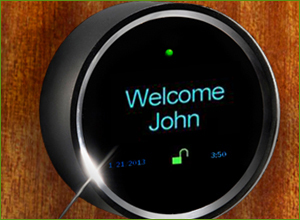 The Goji Smart Lock completely bypasses the need for keys, allowing you to open your front door with the simple tap of a smartphone. It also takes pictures of who is at your door and automatically sends picture alerts to your mobile phone, providing you with real-time information about who is trying to access your home. All activity is recorded and logged by the system, and it is available for review at any time via the Goji Mobile App or from your online account. Netamo's June bracelet monitors you exposure to the sun, and can even offer advice as to how much sunscreen to wear, and the most effective type to apply. 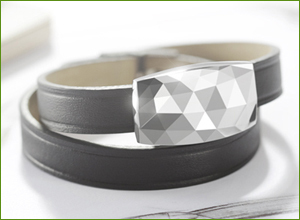 This stylish technology comes in the form of a brooch or bracelet, and will definitely come in handy in our ozone-depleted country. This camera takes photography to a whole new level. 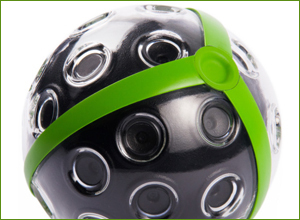 Every surface of this small orb is covered in small cameras, and when you throw the camera into the air, the cameras all go off at the same time and combine their images, giving you a complete 360 degree panoramic shot of your surroundings. The only downside is you do have to catch the camera on the way down, so this might not be the smartest purchase if you're not the most coordinated individual. 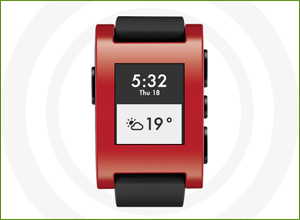 The idea behind the Pebble is to offer you the complete functionality of your smartphone, but in your watch. As well as giving you the time, it lets you make and answer calls without touching your phone, it gives you weather predictions and reminders, and can even monitor your heart-rate while you exercise. New apps are constantly being created for the Pebble, meaning that it'll soon become one of the most sought-after technologies around. 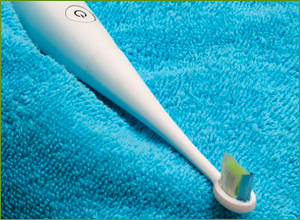 The Kolibree toothbrush collects data on your brushing habits including duration, frequency, and neglected zones in your mouth and then communicates with your iPhone or Android smartphone thanks to Bluetooth technology. The app takes your brushing to an entirely new level by providing real time feedback and long-term reporting to see how well you've done each time and how you have improved over time. Meatheads rejoice! 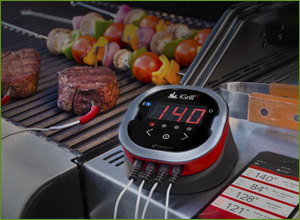 This wonderful wee contraption takes barbequing to a whole new level, and lets you accurately monitor the temperature of your meat while you cook. Perfect steaks every time! 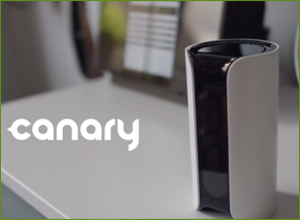 They raised more than $2m to develop their home security system, now Canary are back with an upgraded system and an iOS app to control it all with. Truly the ultimate in home security, the app shows live video feeds, alerts and can remotely adjust security settings. 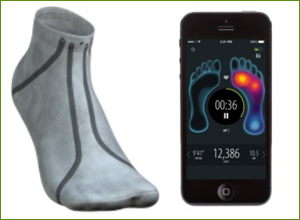 Sensoria socks work with an anklet that transmits data from the electronic fibres woven into the socks to an app which collates your exercise data. Find out whether you're striding too hard or unevenly using your feet – without having to pay for a personal trainer. the retina display technology used in the iPhone was actually developed and manufactured by Samsung? smoking near Apple products voids their warranty? the iPhone was originally called 'Purple'? Apple has more than 80,000 employees around the world, and Apple headquarters' employees earn an average of US$125,000 a year? Apple sold 340,000 iPhones per day in 2012, and currently earns US$300,000 per minute? Apple's co-founder sold all his shares for $800? Today, they would have been worth US$35 billion. everything you say to Siri is sent to Apple, analysed and stored? Apple has more operating cash than the United States Treasury? Apple's iPhone has higher sales than everything Microsoft has to offer? the cost to manufacture an iPhone is only $170? http://img0.liveinternet.ru/images/attach/c/5/3970/3970473_sprite198.swf – If you've ever wanted your very own pet killer whale, but written that dream off because you knew you'd never be able to afford it, then we've found you the next best thing! This simple site gives you a killer whale to control. You can't exactly make it do lots of stuff, but you can make it dance. www.nytimes.com/interactive/2014/04/06/magazine/06-pieter-hugo-rwanda-portraits.html – More than 20 years after an act of genocide was carried out in Rwanda, Africa, the New York Times has created this page to display photos taken the moment the perpetrators asked forgiveness from their victims. Each photo includes a story depicting the brutality of the events that took place, which makes the stories of forgiveness even more overwhelming. http://twentytwowords.com/fish-tanks-incredible-art-look-beautiful-world-competitive-aquascaping-21-pics/ – Fish tank art, or Aqua-scaping, as those involved in the sport refer to it, is simply the practice or sport of making a fish tank look really cool. Apparently the sport is massive in Eastern Europe and Asia, and some of these people spend countless hours sculpting and growing their fish tanks. Some of the designers are so invested, they won't risk their creations by putting fish in their fish tanks. www.moillusions.com/wp-content/uploads/2013/05/choc.gif – I can't seem to figure this illusion out. I am perfectly aware that you can't create chocolate out of nothing by moving other pieces of chocolate around, but I can't explain how there's always a piece left over! If someone can figure this out, I demand a cut when you sell the secret to Cadbury. http://news.distractify.com/people/amazing/hidden-disney/?v=1 – Did you know that the beast from Beauty and the Beast appears in Disney's Aladdin? Or that Mickey Mouse can be spotted swimming beneath the waves in The Little Mermaid? Turns out there are a bunch of instances when Disney's animators got bored drawing all these different characters, and reverted to including characters from other movies. http://jameskingston.co.uk – On his personal website, James Kingston claims to be a professional adventurer. Just flick through his photos and watch a video or two, and you'll have to agree he's nothing more than a lunatic with a death-wish. If hanging hundreds of meters in the air by just one hand is your idea of a good time, I'd suggest investing in some serious life insurance. www.visi.com/~dheaton/bride/the_bride_wore.html – I'm sure we've all been to a wedding where we've wondered (perhaps even out loud) what could have been going through the bride's head when she chose or designed her dress. Sometimes brides wear the darndest things, and this site is dedicated to collecting their photos. www.baac.net/michael/plates – People's personalised number plates can range from inside jokes to indecipherable code. Driving behind someone with a confusing personalised plate can be frustrating, especially when there's no way to tell what the plate is meant to say. If you're ever in that position, turn to this site, which offers an list of explanations for an extensive range of number plate codes and combinations. http://tldrwikipedia.tumblr.com/ – There are probably millions of articles on Wikipedia, so these intelligent people have put together a condensed version of Wikipedia, designed to give you the most obvious, and often quite humorous, explanations and definitions. This one's definitely worth a look. www.theguardian.com/cities/gallery/2014/apr/07/classic-album-covers-in-google-street-view-in-pictures – Sometimes musicians have spent all their creative juices on their music, that there's nothing left when it comes to making the album cover, so they take a quick photo of something outside, and decide that'll suffice. Often these become some of the most famous album covers, such as The Beatle's Abbey Road cover. From Pink Floyd to Led Zep, this site has the real life locations from these famous album covers, thanks to Google Street View. Third of census forms completed online: Information on how we completed the five-yearly census suggests a move to filling in the forms entirely online may be on the cards. Click here for more. XP use drops below 10 percent: Trade Me says the proportion of people visiting its website who were using Windows XP computers dipped below 10 per cent for the first time last month. Click here for more. Smartphone app for dark city streets: A former Victoria University student who felt unsafe on city streets has developed a smartphone app that keeps tabs on its user in dangerous situations, and is being recommended to Wellington students after two recent attacks. Click here for more. Jeremy Tauri: All aboard the app train: If you think of Flappy Bird and Facebook when someone mentions smartphone apps, it's time to think again. More and more businesses are using apps to improve productivity and their connection with customers and clients. Click here for more. Kill off email to boost productivity: Employees' reliance on email as the primary mode of communication is hurting business productivity, according to an executive at one of the world's biggest technology companies, Cisco. Click here for more. Growing industry has app developers racing: Smartphone application developers say they are challenged by the glut of apps, making creative pricing strategies essential to finding their niche. Click here for more. Big hopes for big data: Debates are raging about whether big data still holds the promise that was expected or whether it was just a big bust. The failure of the much-hyped Google Flu Trends to accurately predict peak flu levels since August 2011 has heightened the concerns. Click here for more. Brazil Congress passes internet bill of rights: Brazil's Senate unanimously approved groundbreaking legislation that guarantees equal access to the internet and protects the privacy of Brazilian users in the wake of US spying revelations. Click here for more. Brazil conference to plot post-NSA internet: A global conference in Brazil on the future of the internet in the wake of US spying revelations might be much less anti-American than first thought after Washington said it was willing to loosen its control over the web. Click here for more. Vevo monthly viewership hits six billion: Vevo, the online music video hub that is a joint venture of two of the world's biggest music labels, has seen a nearly 50 per cent increase in the number of music videos streamed each month from its platform. Click here for more. Amazon snares classic HBO shows in deal: Fans of classic HBO shows like The Sopranos and The Wire will soon have access to those series and more through Amazon Prime in the first online streaming deal signed by the cable network. Click here for more. Travelling through time on Google Maps: Trips down memory lane are now available on Google's digital maps. The new twist on time travel is debuting today as part of the "Street View" feature in Google's maps, a navigational tool that attracts more than 1 billion visitors each month. Click here for more. Japan's digital eyes show your emotions: Can't be bothered to show anyone what you're thinking? A Japanese scientist has the answer � a pair of digital eyes that can express delight and anger, or even feign boredom. Click here for more. Control the future with a wave of your hand: We're all guilty of waving and shouting at technology when it won't behave, but now our gadgets are finally paying attention to what we say and do. Click here for more. Report: Amazon to unveil smartphone: Amazon.com is preparing to launch its long-rumoured smartphone in the second half of the year, the Wall Street Journal reported on Friday, citing people briefed on the company's plans. Click here for more. Scientists try to 3-D print a human heart: It may sound far-fetched, but scientists are attempting to build a human heart with a 3-D printer. Click here for more. High-tech farm machines harvest Big Data: Steps away from a replica of the revolutionary 1837 steel plow at tractor company John Deere's headquarters sits a combine as big as a tank and packed with computer wizardry that harvests huge volumes of valuable data as it gathers crops. Click here for more. Device helps paralysed man move legs: Three years ago, doctors reported that zapping a paralysed man's spinal cord with electricity allowed him to stand and move his legs. Now they've done the same with three other patients, suggesting their original success was no fluke. Click here for more. Charge your phone in 30 seconds: An Israeli start-up is promising to fully charge your phone in 30 seconds. Click here for more. It's time to stop hating Google Glass: In the nearly two years since Google began testing its augmented-reality eyewear, public reaction has progressed from "that's amazing" to "those look stupid" to "if you wear them, you deserve to be physically assaulted". Click here for more. Google buys drone maker Titan Aerospace: Google has bought Titan Aerospace, a maker of solar-powered drones, saying it could help bring internet access to remote parts of the world as well as solve other problems. Click here for more. Report: Facebook plans mobile payments: Facebook is preparing to join the mobile- payments race with remittances and electronic-money services on the social network, the Financial Times reported on Sunday, citing several people involved in the process. Click here for more. Russian social media founder flees country: The founder of Russia's leading social media network, a wunderkind often described as Russia's Mark Zuckerberg, has left his post as CEO and fled the country as cronies of President Vladimir Putin have made steady inroads into the company's ownership. Click here for more. Cortana v Siri: virtual assistants battle: With Windows Phone 8.1, Microsoft is taking on Siri, Apple's chatty assistant in the iPhone. In Microsoft's corner is Cortana, a brand-new virtual personality that shares the same name as Master Chief's holographic helper from the Halo games. Click here for more. Microsoft sued over $731m IE miscue: Microsoft's board faces a lawsuit over the way it handled an error with its Internet Explorer browser that ended up costing the company a record-breaking US$731 million fine by European antitrust regulators. Click here for more. Google's stake in Samsung trial revealed: Google's stake in the outcome of a US$2 billion trial over smartphones using its Android operating system was revealed by testimony that the company indemnified Samsung Electronics against some of Apple's patent claims. Click here for more. Google files patent for contact lens camera: Google has applied for a patent that details a way to fit a camera into a contact lens. Click here for more. Bitcoin promoter indicted for money laundering: Prominent bitcoin entrepreneur Charlie Shrem has been indicted by a federal grand jury in New York on charges of funnelling cash to the illicit online marketplace Silk Road. Click here for more. Add a second layer of protection online: If the Heartbleed security threat teaches us anything, it's that passwords don't offer total protection. Click here for more. What to do the moment your phone's stolen: Thinking of stealing a smartphone? Aim for an older one. Our phones and tablets are both highly valuable and highly portable, making them ideal targets for theft. But a simple pocket swipe on the bus isn't quite enough these days. Click here for more. New York police pic campaign backfires: New York police didn't quite get the response they were hoping for after asking users to post photos of themselves with officers as part of a PR campaign. Click here for more. Browser extension fixes literal mistakes: If you're a cool-headed, fair-minded, forward-thinking descriptivist, it doesn't bother you one bit that people often use the word "literally" when describing things figuratively. Click here for more.